With Chelsea’s worries increasing exponentially, Jose is reportedly interested in signing Kurt Zouma from St Etienne in a deal worth £10million. Zouma only 19 has been putting top quality performances for the French side for quite sometime and his performance is monitored by the top European clubs. Chelsea are interested in the defender who is currently going through a 10 match suspension for breaking his opponents leg. Zouma is eligible to play in the Champions League and will be another point the board will have in mind if they are really going to sign a top class defender in the January window. 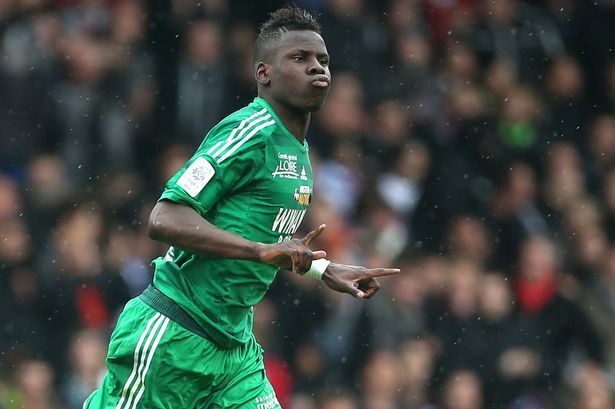 Chelsea have to beat City for Zouma’s signature who are also interested in signing the young French star. With the January transfer window fast approaching Jose will be looking to fix the holes in the defense before the start of the knockout rounds and business end of the Barclays Premier League. Can Someone tell me who this guy is?wat happened to coentrao,mangala and co?we now need a 19year old to do the job of men?jose please you letting me down. Mangala is too damn overrated and overpriced tho! How can you pay over 40m£ for a defender? This guy is class. Please if you don’t know who the player is, first fo your own scoutting and come back with with a good opinion. We don’t need him we’v got Tomas Kalas, Kenneth Omueron, Nathan Ake and Nathan Chalobah who should be given opportunity to show what they can do for us from the back. We have them go out on loan and perform but when they come back the coaches don’t seem to trust them, but i think its high tiem we begin to bring them through. @Shiloh agree with you! how many young players we buy then waste their talent? Wat happen to Piazon, Hazard, Mceahran, Ake, Omerou, Kalas, Chalobah(n many more)…..??? Loan them then wat? Let them rot at the bench like de Bruyne,TRUST OUR YOUNG PLAYERS CHELSEA!!! This is just a rumour. No need to over react on this. we jst dont need and more players.we have enough.